Can you believe we are here at the start of another week? I know it's fall and I know I should be showing you Halloween cards (I promise I will), but I just had to show you one last layout from this past summer. 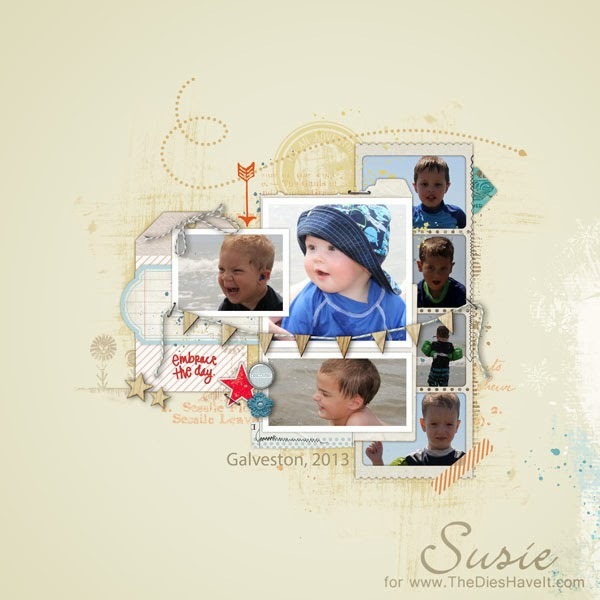 I am beginning to finally believe our wonderful summer is behind us....but I was hoping this layout from our beach vacation would revive it (at least in my heart). 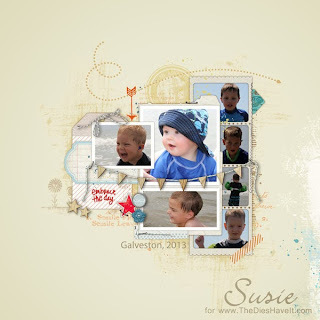 I love digi scrapping for this reason - I was able to make four hard bound photo books for all the families who vacationed with us in the time it took to make one. Yes - I love that!! I'll see you right back here tomorrow. OK?